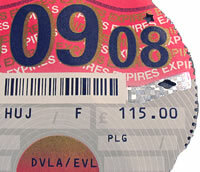 Road Car Tax Hikes- Gordon Browns Next Tax U-Turn? Gordon Brown's Labour government looks set to march towards another humiliating tax u-turn as the proposed changes to the Road Tax to make it 'Greener', that will result in 9 million motorists paying more tax, totaling over £1 billion, many of those that will be hit the hardest are the poorest motorists that could see tax hikes of more than 50%. This is contrary to Gordon Browns statement made at the House of Commons that the majority of car drivers would benefit from the changes. Whilst it is estimated that less than 19% will actually pay less tax. The argument of these changes taxing motorists out of driving big gas guzzling cars does not stand up to scrutiny, as the proposed tax is retrospective and applies to all new cars as of 2001. Therefore there is no question of this impacting on green initiatives as it hits owners of existing cars rather than influencing solely future purchases which is how a green tax should function so as for prospective car buyers to favour lower taxed less polluting cars. Already there is growing discontent amongst labour MP's who will in due course see this as another own goal on parr with the 10% tax band. The U-turn here would be a change to only apply the tax to future new car plates. Alistair Darling has started alluding to a potential u-turn as part of his autumn statement. The green road tax changes will increasingly be seen by voters purely as a cynical tax raising exercise as the doubling in oil prices is already having the effect of cutting back on gas guzzlers in favour of more efficient vehicles. Therefore Gordon Browns government is expected to slip a few notches lower in the opinion polls to a new record low standing.